ARCATA – Wildberries Marketplace and Arcata Playhouse are teaming up on a multi-year sponsorship deal that will assist the Playhouse in hosting music events, its annual family series and a variety of additional events, including a planned summer Creamery District Community Arts Festival scheduled for August, 2013. The three-year commitment of $15,000 from Wildberries is part of their ongoing efforts in the community to support non-profit organizations and their missions. “We are honored and thrilled that Wildberries chose us to support in addition to all of the other great non-profits that they contribute to. 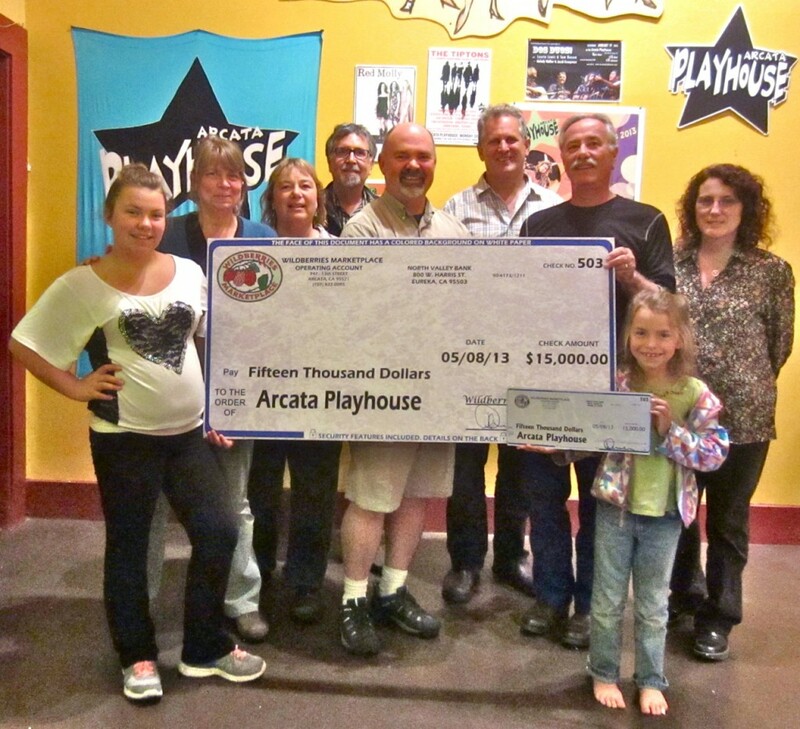 The funds will help us continue to offer low cost, high quality events as well as maintain our youth and family program in the future,” said Playhouse Executive Director Jackie Dandeneau. This entry was posted on Wednesday, May 22nd, 2013 at 1:10 pm	and is filed under Community, Scene, Business. You can follow any responses to this entry through the RSS 2.0 feed.